Having the right crafting tools makes all the difference. I get loads of questions about tools, which ones to buy, where to buy and should I invest – so I figured it was time to share my thoughts about crafting tools! 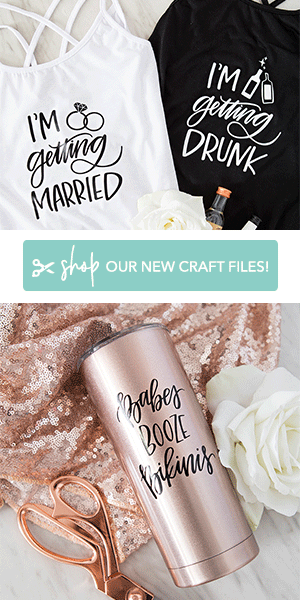 I’ve narrowed down my all time favorites and further more qualified those tools by whether or not you will use them after your wedding crafting is over. 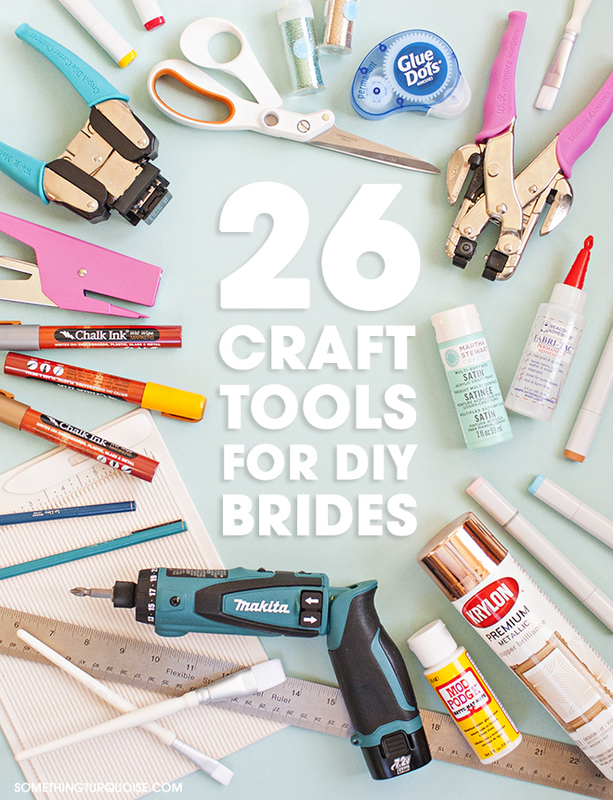 So here I present a list of the 27 Craft Tools That Every Serious DIY Bride Needs To Own. 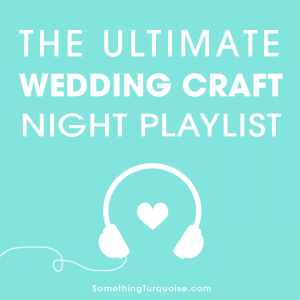 Every item listed here will bring joy and ease to your wedding crafting. You will also enjoy years of continued use, well after you’ve said “I Do” which is incredibly important when thinking about investing in a tool. If you have any questions about these items, please leave them in the comments below as I love to talk crafting! Full disclosure: I own every single item listed here minus the sewing machine, as I have a different brand that was about 4x the cost. If you’ve been following my blog for a while, you know that one of my favorite places to shop is Amazon, which is where you will find every single one of these tools at a fabulous price! Amazon Price Note: just so you know the prices shown on hover are non-sale prices, if you shop on Amazon like me you know that everything is always on sale. Meaning the prices shown are a bit high but on click through you’ll see the real price. Cricut Explore Air: #1 best and most favorite tool I have in my craft room. It forever changed the way I craft. I’m obsessed and you will be too. I know it’s pricey but it really will change your crafting life like it did mine. Copic Sketch Markers: LOVE these markers! Whether you are coloring your Will You Be My Bridesmaid Cards or making a cool hand lettered sign, you will fall in love with the way these markers blend and write. If you aren’t a big writer, you can skip this purchase. E6000 Glue: Hands down the best glue ever. Broken frame? No problem. Gluing mason jars together. No big deal. This glue can do it all. Seriously. Corner Chomper: This is my favorite corner rounding punch. It has two sizes and can punch right through thick things even chipboard. The squishy handle is nice on my hands and it’s turquoise, so win-win. Martha Stewart Glitter: No other glitter compares. The rainbow of colors! I actually have every single shade she makes. You can buy this set of essential colors or buy larger individual colored jars. Glitter is always a good thing. Glue Dots: For crafts, pictures, home items and more – I’m obsessed with Glue Dots. There are so many different types and they all work wonderfully for specific projects. 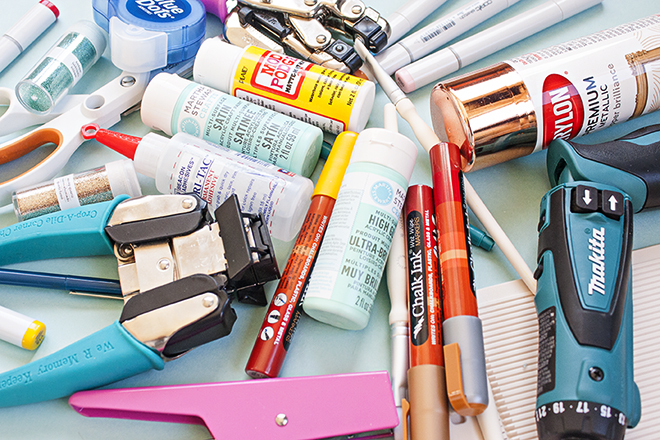 Easily find the type you need and get to gluing with no dry time! Metal Ruler: Metal rulers really are the best. They offer more precision. They are best for following with a craft knife. They feel cool in your hands and they double as a great weapon. lol. Fiskars Paper Trimmer: This heavy duty ProCision Trimmer from Fiskars is perfect for mixed media projects! The self-sharpening blade never needs replacing and can cut through chipboard, cork, burlap, paper, vinyl, foam or layers of cardstock. 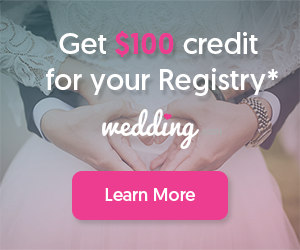 Exactly what the DIY bride needs! Canon PIXMA iP8720: This printer is probably the best thing that happened in 2015. For those who don’t know, it’s a regular home printer that prints up to 13″ x 19″, meaning it fits 12″ x 12″ scrapbooking paper! DREAM COME TRUE! It’s also wireless and can print from smart devices. From photos to invitations, this printer is my jam. Cordless Glue Gun: OMG. Yes. Amazing and so fun. 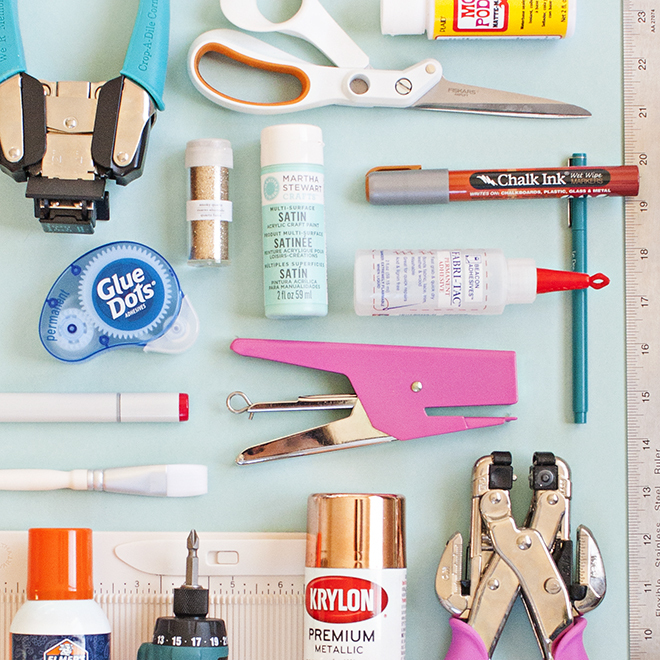 Every DIY gal needs a glue gun, especially one that is turquoise and cordless. I HATE glue gun cords. Why are they the worst cords on the planet? Anyway, American Crafts has solved this problem for us, so yay! Fiskars Amplify Shears: Best scissors ever. They cut everything like it’s butter. From fabric to paper and everything in between. I actually have 5 pair; one for every craft cabinet! Le Pen Set: Writing thank you cards, addressing invitations, guest book pens and more – Le Pens have a fabulous felt tip with acid free ink which means they are archival and the messages written with them will last for years to come! I personally love all the colors they come in. Martha Stewart Scoring Board: If you are going to be making cards, envelopes or any type of projects with folded paper – this scoring board is a dream! I use it all the time. As long as you have a few scraps of cardstock, you can whip up a card + envelope in a second! 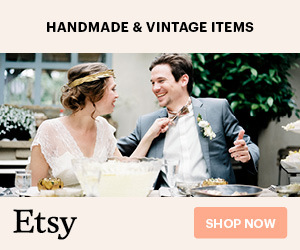 If you aren’t into paper crafts, you can skip this buy. Chalk Ink Markers: My new obsession. 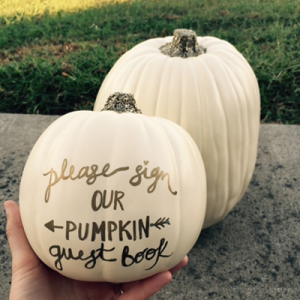 For all you chalkboard-crazy brides, these markers are a dream come true. They come in amazing colors and wash off perfectly with just wet wipes. 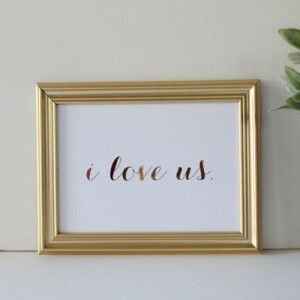 They also sell a version that is water-resistant so if you take the time to hand-letter a beautiful wedding sign and it rains – it’s totally no problem. I’m looking forward to sharing some awesome tutorials using them soon! Martha Stewart Paint Brushes: My favorite paint brushes. High quality. Terrific handles. If you are a painter, you’ll love using these. Mod Podge: Who doesn’t love Mod Podge. But did you know there are actually 23 different finishes? To get the scoop on all of them and how they should be used you can visit this page. So interesting! Crop-a-Dile Hole Punch: Best hole punch on the planet. It can punch through metal, chipboard, fabric – the works. But wait, there’s more! It’s also an eyelet setter. Such a fabulous little multi-tasker. Metallic Spray Paint: One coat of metallic spray paint makes everything look fabulous. Wether your favorite metallic is copper, bronze, gold or silver – having a can of this high quality spray from Krylon around is always a great idea. Martha Stewart Multi-Surface Paint: From fabric to wood and from paper to glass, this multi-surface paint from Martha is top notch. It comes in every color imaginable and as you can see, it’s the only paint I use! Simple Sewing Machine: Every DIY bride needs to learn how to sew because it’s sew freaking easy, lol. No but really. The world of crafting will open up when you learn. Getting a great but inexpensive machine like this one is the perfect place to start. Makita Driver Drill: LOVE. This driver drill will replace your screw driver and regular drill motor. I have both and always find myself reaching for this guy because it’s powerful, easy and cordless. Oh, and it’s turquoise. Craft Knife: Everyone needs a craft knife like this in their craft kit. There are so many uses for it from fixing a clogged glue tip to cutting out detail paper pieces or making a giant diamond card box. You’ll always be glad that you have it. Mini-Stapler: You might have a regular stapler but you totally need this mini-stapler because the staples are freaking adorable. I seriously don’t even use my regular stapler anymore because these work better and look better. They also come in fun colors! Spray Glue: I’ve been searching for a spray glue worth it’s weight for a long time and I’ve finally found the one! Thank you Elmer’s for making a spray glue that actually stays sticky long enough for me to stick something to it! Fabri-Tac: Falling hem? Loose stitch? DIY no-sew clutch? Glueing ribbon? Fabri-Tac has your back girlfriend… just don’t let it touch your manicure! Hand Steamer: Best $30 I’ve ever spent. This little hand held steamer is powerful and really comes in handy. From steaming tablecloths to dreses and even ribbon – you will fall in love with this handy helper. Especially on the morning of your wedding!